Thank you for the heads up Eduardo Placido Santiago and Carlos Augusto Di Pietro in Brasil ! 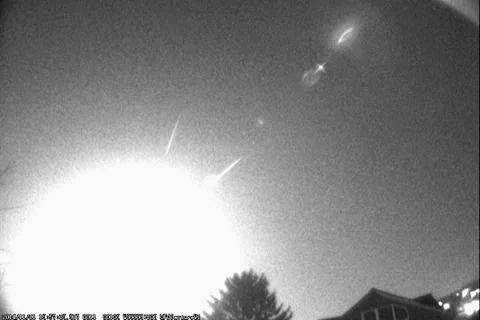 As you may have heard, yesterday fell very bright fireball. Evaluating brightness -12 -13. The alleged crash site between settlements and Zvenigorodka Shpola Cherkassy region. This car was filmed through the clouds, the club's meteoric camera station Pylypovychi. In this way managed to build a base and specify the path. Video under the cut.